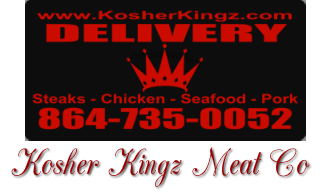 Contact - Kosher Kingz Meat Co.
Free Home Delivery...Ask about our 6-Pack Special or BOGO deal! Questions or Concerns? Send them our way!